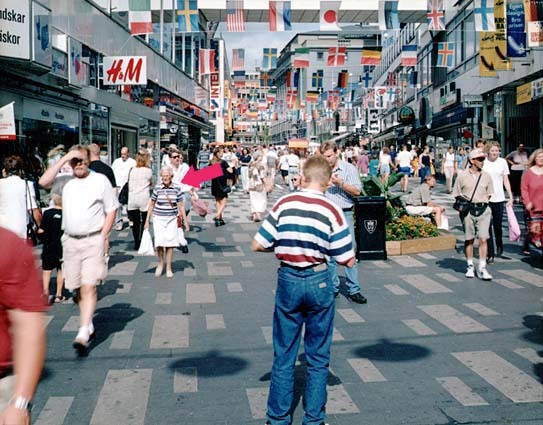 One of six images.The first of four colour photographs silicon-mounted behind glass (95x120 cm, 1997) made for "Nytolkningar" (Reinterpretations) at Lunds Konsthall (6.12.97 - 11.1.97). A fluorescent arrow has been taped onto the glass, pointing at a person in the picture. This arrow can easily be detached or moved, also by the viewer.